The BMW M760Li xDrive comes with a variety of changes over the standard 7 Series, chief of which is the mighty 6.6 liter TwinPower turbocharged V12 that develops a monstrous 600 hp and 590 lb-ft of torque, in case you need to, ya know, tow the moon. All of that power and torque is sent through the familiar ZF-sourced eight-speed automatic, though it has an M-specific tune to it to make shifts slightly more aggressive. It will also use data gathered from the navigation system and driving nature to predict how and when it should shift, much like the standard 7 Series. Driving the wheels will be BMW’s xDrive system, which has been tuned by BMW M as well, for sporting performance. Performance figures are equally astonishing, as the sprint from 0-60 mph comes in just 3.9 seconds, which is far faster than a vehicle as big and heavy as the 7 Series should be able to go. 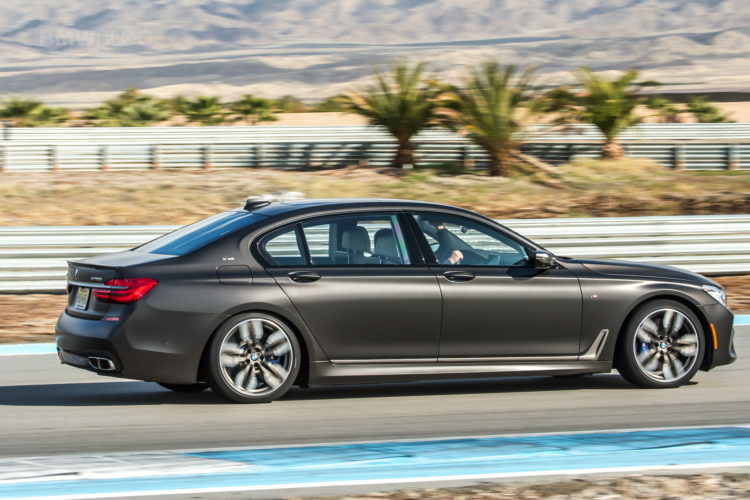 The M760Li’s top speed is a governed 155 mph but, with the M Driver’s Package that top speed bumps up to 189 mph. Those kind of performance figures put the M760Li in BMW M4 territory. We’ve recently tested the M760Li both on the track and backroad near Palm Springs, and we came back impressed. While at the Thermal Club race track, our sister magazine Bimmertoday decided to run a 0 to 200 km/h test. To stay legally on the safe side, they asked one of the BMW instructors to tackle the longest straight of the circuit of the thermal club at the wheel of the BMW M760Li xDrive and not to be disturbed by the camera attached to the steering wheel. 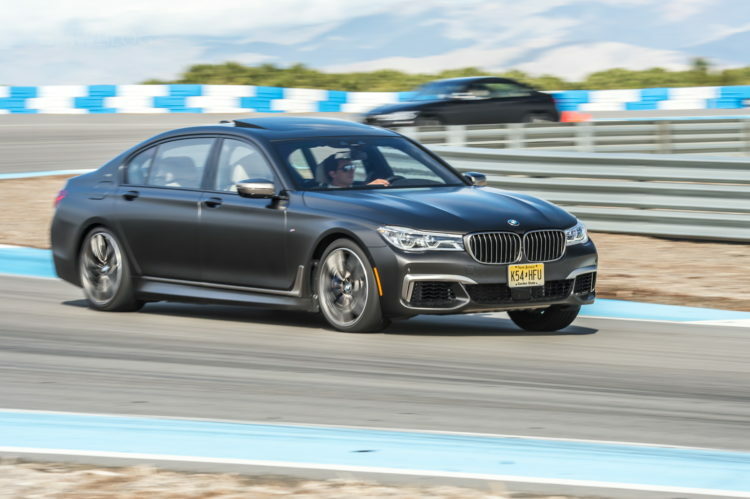 The fact that the instructor did not use the launch control at the race start and the straight line does not run completely flat has clearly influenced the final outcome, but nonetheless, the M760Li lives up to its hype. OPINION: Do we really want the BMW V12 to stick around?